All our rigid carcasses are made to your bespoke requirements and sizes. Blumb Legrabox Slim Drawers Even very wide and heavy pull-outs have a smooth running action thanks to high dynamic carrying capacities of 40 and 70 kg. They are all of rigid construction dowelled and glued together, with Full Height18mm rigid removable backs and solid tops. 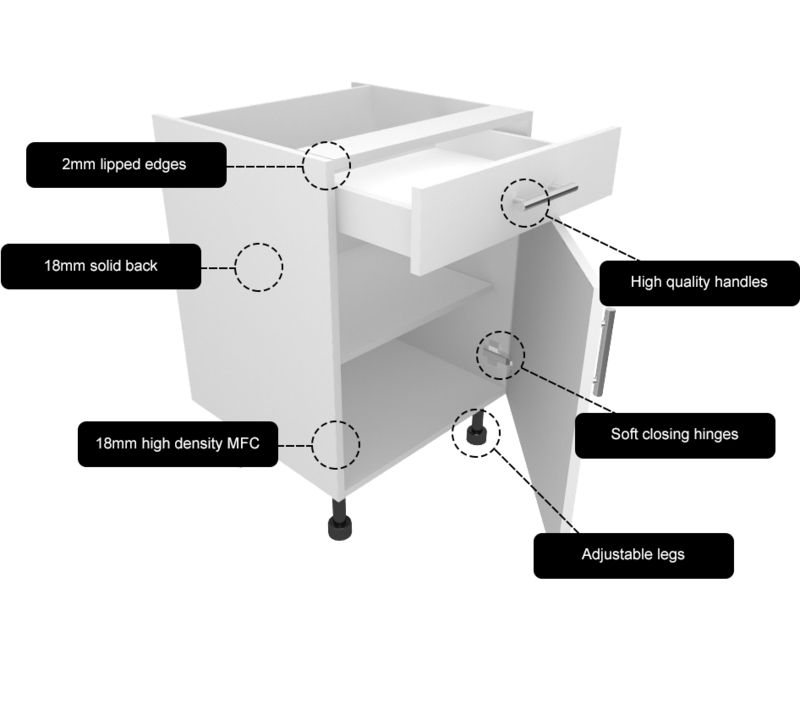 Delivered with all leg plates and drawer boxes fitted, made to take any accessory Tandems, Bins, Spacebox, Lemans which can be installed prior to Delivery. We can also fit the doors or doors with frames if required.